The Jallianwala Bagh massacre took place on April 13, 1919, in which over 1000 peaceful protestors were killed. New Delhi: April 13, 2019 marks the 100th anniversary of the Jallianwala Bagh massacre by British forces. 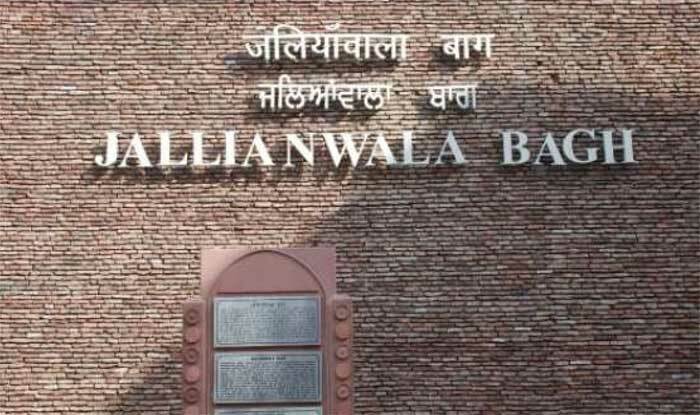 Though the Election Commission (EC) hasn’t allowed observing the 100 years of Jallianwala Bagh massacre on a large scale, a programme commemorating the event will be held in Punjab on Saturday. Only 12 families of those killed in the massacre have been invited for the programme because the state administration failed to trace the descendants of the remaining martyrs. On Friday on the eve of the centenary, hundreds of people held a candlelight march in Amritsar. People carried candles and walked a kilometre distance from the Town Hall building in Amritsar towards the Jallianwala Bagh near the Golden Temple complex. The national flag was also carried and patriotic songs were played in the background when people conducted the candlelight march. Punjab Chief Minister Amarinder Singh, Governor V P Singh Badnore, Cabinet minister Om Prakash Soni and other leaders, including members of the families of those killed in the massacre, had joined the candlelight march. Tight security was observed by the Punjab Police during the event. Reportedly, Amarinder Singh has also asked the Deputy Commissioner Amritsar to identify a strategic spot in the city where a suitable memorial could be erected in honour of the victims. Congress President Rahul Gandhi arrived here on Friday night and will pay homage to the martyrs of Jallianwala Bagh. Also, Vice President Venkaiah Naidu will arrive on Saturday afternoon for the main function. The Union ministry of Culture has organised a function that will start at 3 pm and it will be presided over by Vice-President Naidu. Naidu will also release a commemorative postal stamp and coin on the centenary event. Meanwhile, the state government has apparently planned its own programme, which will start at 9 am. On April 10, British Prime Minister Theresa May had expressed regret over the Jallianwala Bagh massacre. May, however, did not issue a full apology. “We deeply regret what happened and the suffering caused,” May had told the British parliament. On the other hand, Jeremy Corbyn, leader of the main opposition Labour Party, had called for a full, clear and unequivocal apology. The Jallianwala Bagh massacre took place on April 13, 1919, in which over 1,000 peaceful protestors were mercilessly killed on order of British colonel Dyer in Amritsar.